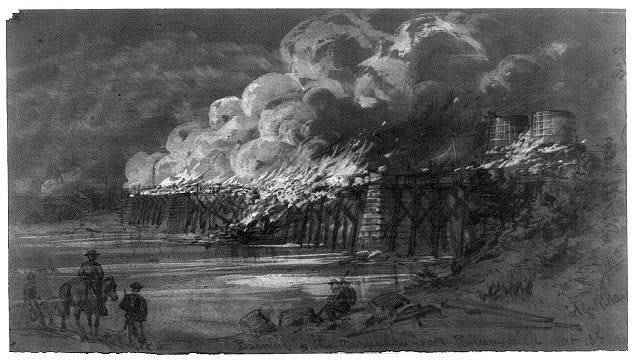 Battlefield depiction with inset upper left inscribed: Arnolds battery. 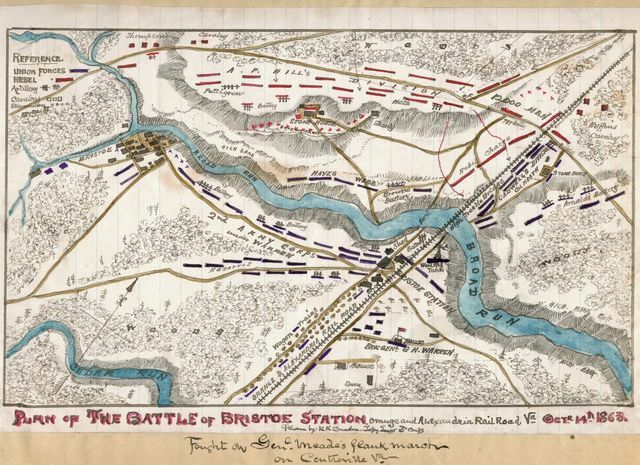 Plan of the Battle of Bristoe Station, Orange and Alexandria Railroad, Va., Octr. 14th 1863.